Frenchie here for a Passport Share. Before I get started please note that the FREE Shipping end tomorrow so don't miss out plus many stamp sets and accessories are selling out quick....don't miss out before they are gone forever. Today share is using the Designer Series Paper Afternoon Picnic #131390 *this DSP nis part of the Weekly Deal and YES all designer series paper of this year are retiring so only available while supplies last. 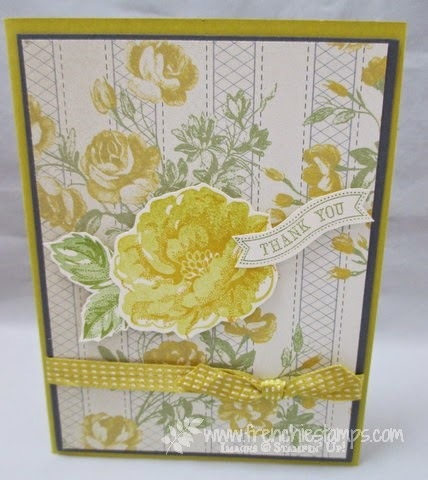 I love the DSP to make quick cards many time we just have to put a greeting and call it good but for this one I use one of y favorite flower set that would be the Stippled Blossoms on page 69 with the Itty Bitty Banners page 30. Well my pals this is it for this french one I will be back in 2 weeks and will be reporting from the wide open sea....till then Happy stampin' and tack advantage of that free shipping. This is it for my share now time to CLICK HERE to see Tina share on my blog. Thank you and have a great day! If you live in CANADA and would like to purchase Stampin' Up! products click HERE. 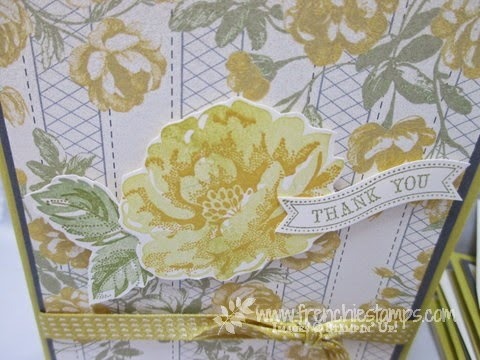 If you live in the USA and would like to purchase Stampin' Up! products click HERE.